On a food note, I took photos of a fabulous dessert made last night that I will edit and type the recipe up for you after the majority of my travels have come to an end. It was the first time I'd taken time to actually photograph food in a few weeks and it felt great. On a new note, very good news in my health situation. The specialist I saw said that I don't have the rare, scary "chronic active" Epstein Barr that was feared. My EBV numbers remain off the charts high, but it doesn't indicate this active state of EBV. Thank God! Some other scary illnesses were ruled out with further testing and since we had already ruled out the very scary lymphoma with my surgery earlier in the year, the scary stuff seems to be (SO THANKFUL!!) not an issue for me. The bad news is he believes I have Chronic Fatigue Syndrome, and it could be a few years before I see remission and even then it can come back. The way I see it, though, is that CFS isn't a fatal disease and it doesn't cause organ failure like some of the other things we were concerned about. I have had to alter my very active lifestyle since all this hit in the fall, and I still get the swollen glands, sore throat, achy body and extreme fatigue (all of which can be caused by CFS) if I overdo it, but I'm learning how to manage it and the specialist felt like I already was doing many of the things I need to do in order to live with this the best I can. 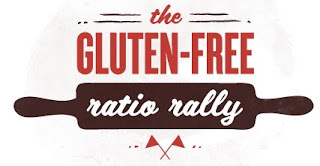 So, after that little update on me, I am finally giving you links to the Gluten-Free Ratio Rally bread challenge which was hosted by Karen of Cooking Gluten-Free earlier this month (thank you, Karen!). I hated to miss out on this challenge - it was only the second one for me to miss - but once I caught the flu, there was no chance of experimenting with a ratio bread recipe with everything else going on. I'm afraid it looks like I'll be missing the July challenge as well, but I'll post the links for you when I'm able and hopefully will be back in the game for the next one. 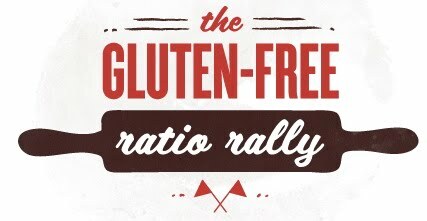 In addition to Karen's amazing bread, check out the other delicious recipes the rally participants baked up for you! I hope you are all having a fabulous summer - see you back here soon!